Known as a culinary influencer, dessert innovator, and creative caterer, Stephanie studied the culinary arts as a young woman in Brittany, France and then staged at some of New York’s most highly rated restaurants. After college at Columbia University where she earned a bachelor’s degree in Art History, Stephanie began hosting her own members-only dinner parties dubbed the Victory Club, bringing together friends of friends around the culinary and visual arts. While she is professionally trained as a savory and pastry chef, her passion is desserts. Stephanie’s edible, hand-painted sheets can be cut to any size pastry transforming a mouthwatering dessert into a piece of art. Her claim to fame are her edible, hand-painted sheets that can be cut to any size pastry, transforming a mouthwatering dessert into a piece of art. Finding inspiration through her travels, each sheet represents a location close to Stephanie’s heart. The blue & white Harrison tile is named for her hometown, and the turquoise St. Barth’s design with birds and butterflies is reminiscent of her favorite Caribbean island. 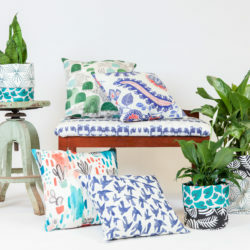 Stephanie’s motto, “the more patterns, the better, especially when they complement one another,” combined with Spoonflower’s vast selection of designs found in the Marketplace, was the perfect match for taking her sheets to the next level. “I call my aesthetic ‘Matchimalism’. 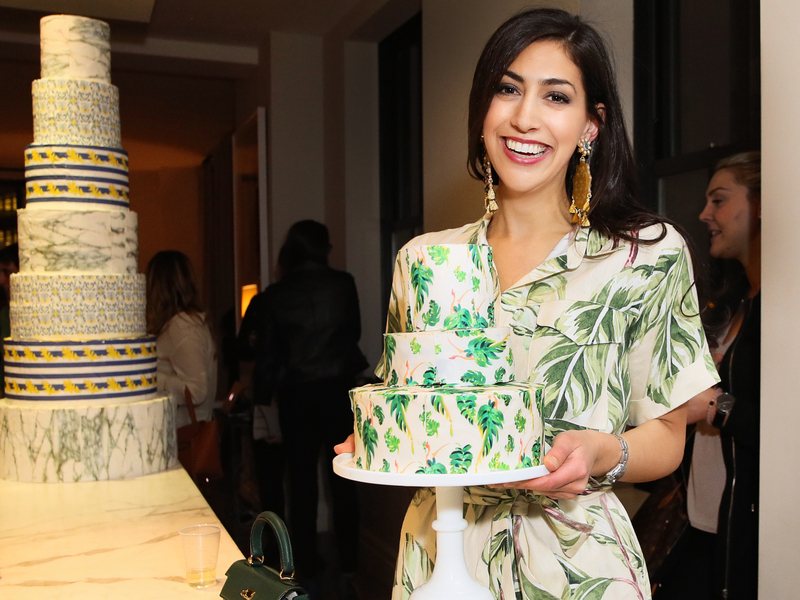 I couldn’t help but extend the patterns from the cakes to clothes!” Take one look at Stephanie’s Instagram feed and you’ll quickly see what Matchimalism” means. 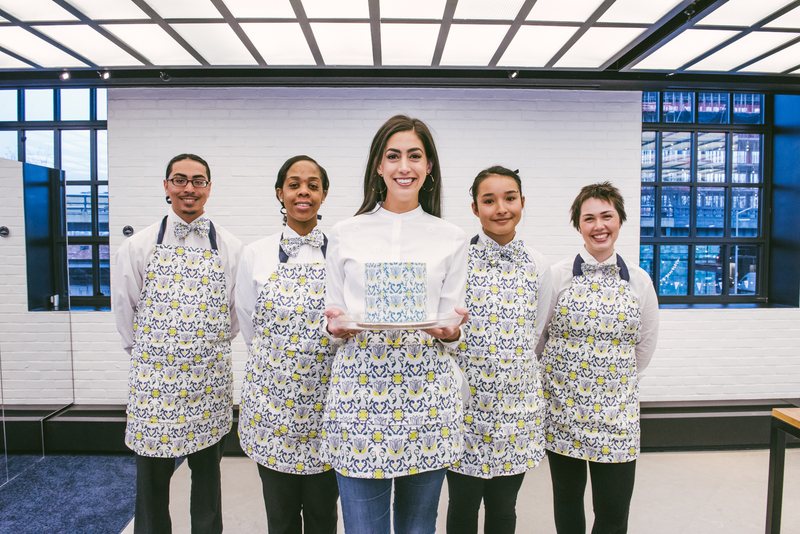 During catering events, Stephanie’s team dons Linen Cotton Canvas aprons and Organic Cotton Sateen bow ties featuring her design, Dutch Tulip. 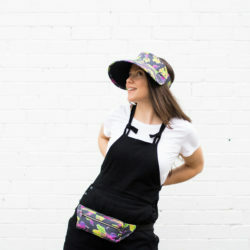 Her enthusiasm for pattern-matching has earned her devoted following on Instagram, where bloggers and publications alike have taken notice. 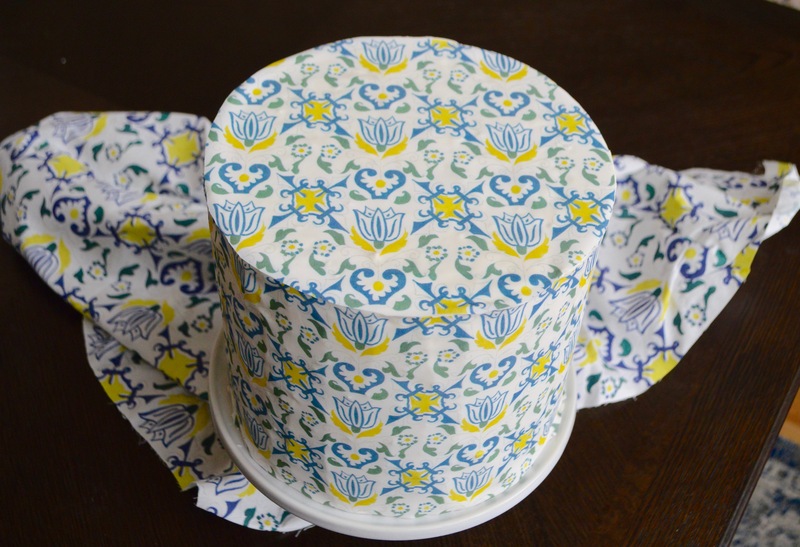 Whether it’s cakes decorated in textile patterns or a 10-course meal inspired by some of the most popular designs in the Marketplace, there’s one thing we can say for certain: food is one of our favorite art forms. 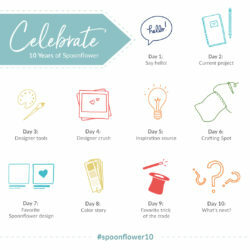 Celebrating 10 Years of Spoonflower! Oh, I missed this! 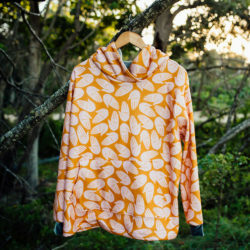 I helped put her sketches into repeats for her. It looks amazing!